Night Light is a melodrama that attempts to shows us how people, when desperate, can change both their values and goals. Our heroines come from two entirely different backgrounds, yet share the same ambitions driven by different motivations. Lee Se Jin (Uee) works two part-time jobs to make ends meet and eager to turn her life around. While her polar opposite, Seo Yi Kyung (Lee Yo Won), is rich and powerful, filled with endless greed. The two leading ladies begin to work together and we quickly see why it’s never a good idea to mix personal life with business and the consequence when you do. Though I appreciate strong female characters like Yi Kyung and Se Jin, Night Light‘s poor writing, baffling conflicts, and lack of character motivations take its intriguing beginning and run it into the ground. What starts out as a unique premise loses sight of its narrative, and ultimately becomes just another boring, and at times, confusing drama. What starts out as a unique premise loses sight of its narrative. Night Light takes its time delving into the plot in favor of setting up the nature of the lead characters. This is alright with me because I’m particularly fond of getting to know our heroines. I’m drawn to the drama’s portrayal of how meticulous and cold Yi Kyung is, as contrasted with how forgiving and desperate Se Jin appears. So if it takes a little longer to get into the meat of the plot, I can look past that. Pretty soon, our leading ladies meet. Yi Kyung immediately takes an interest in Se Jin after witnessing how Se Jin manages to con someone at a party. And so, Yi Kyung hires Se Jin, claiming that Se Jin is her ultimate trump card. I’m curious to see exactly what Yi Kyung sees in Se Jin that she lacks herself, considering that Yi Kyung is in an almighty position already. We’re also quickly made aware of to Yi Kyung’s business and political enemies: her old friend Park Gun Woo (Jin Goo) at Mu Jin Group along with his father and uncle, as well as Chairman Son of another company. 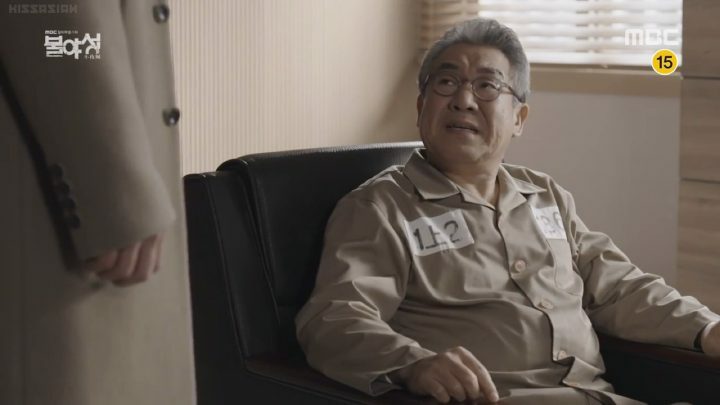 There’s a hinted past connection between Yi Kyung and Gun Woo, who seems to be a warm-hearted, free-spirited man of integrity with no particularly abominable traits to serve as an antagonist. So I’m eager to find out if an ugly separation between the two is the ultimate reason that Yi Kyung is targeting them. These episodes primarily serve the purpose of clearing up relationships and revealing past histories between a lot of our characters, including Gun Woo and Yi Kyung. We see how Gun Woo and Yi Kyung met 12 years ago, fell in love, and how they were ultimately torn apart from each other. Their backstory is your typical old-lover-turned-enemy through misunderstanding and betrayal setup, and don’t have anything special to rave about. But it does solidify for the audience exactly what kind of people these two are and gives context for how or if they have changed over the years. 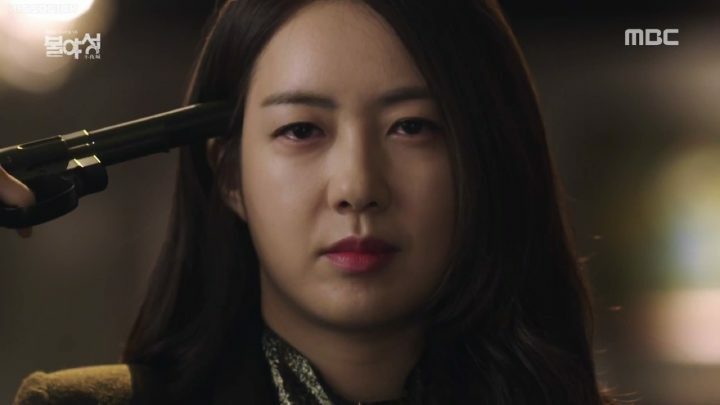 It’s also becomes crystal clear that Gun Woo hadn’t done anything detestable to Yi Kyung for her to want to take Mu Jin Group down, so I’m left wondering again on what exactly her goals and motives are. It seems to me the drama’s painting her out to be simply driven by greed and the need to always want more. If this is the extent of her reasons, I’m afraid this would be a rather shallow and not particularly convincing backbone for the entire drama’s plot line to be based off of. My previous worries have become a reality in this section of Night Light. 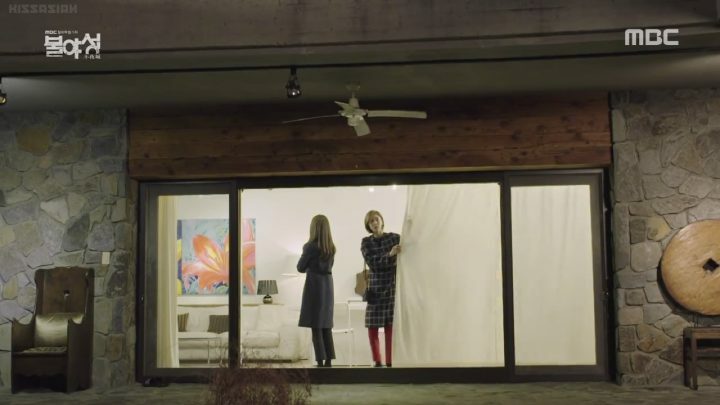 The drama starts to lose my interest with predictable events, overly simplistic character motives, and a whole lot of space-filing, boring business antics. Yi Kyung has been claiming Se Jin as her hidden joker throughout the course of the drama. I think the writers are finally attempting to answer the “why” in here by having Yi Kyung send Se Jin out to seduce Gun Woo. 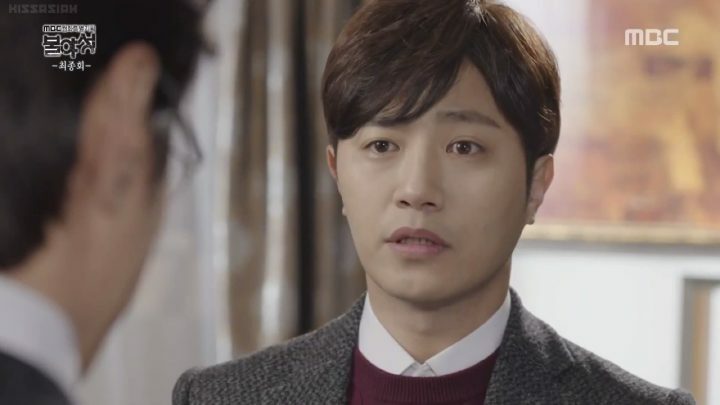 Unfortunately, it’s not particularly exciting to watch because no one seems to fully trust anyone else in this drama, so of course Gun Woo is suspicious of Se Jin. Furthermore, I find a lot of the business politicking and jargons to be quite lacking in substance. The technical talks and side trades are stiff, bland, and at times difficult to follow. 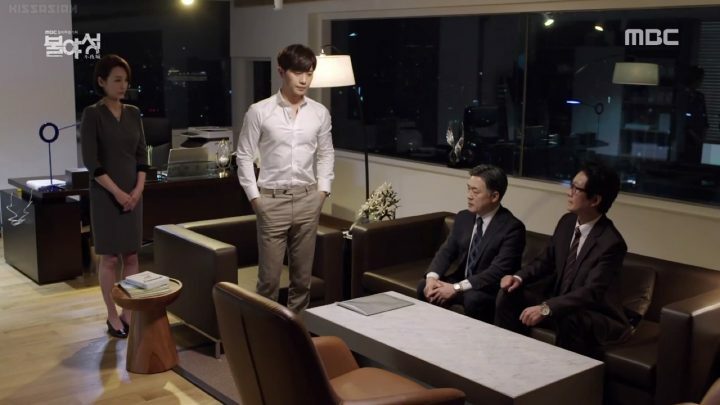 The only meaningful development is a “battle” of sorts that officially kicks off during these episodes between Yi Kyung, Chairman Son, and Mu Jin Group. These episodes of Night Light really just end up showing how the main characters are spinning in circles, with no help from the storyline writing. The illogical change of hearts and severe lack of purpose propagate to infect even more characters. I fail to see any hint of progress with any of the characters. Se Jin decides to team up with Gun Woo because apparently they both want to turn Yi Kyung into a good person, and stop her from becoming a monster. Forget for a second the likelihood of Gun Woo still harboring feelings for Yi Kyung after 12 years, Se Jin certainly has zero stakes in this campaign. The emotional justifications aren’t developed enough in the drama to explain why she may care enough about Yi Kyung to perform this act of kindness. Se Jin can effectively walk away from all of this with no repercussions and move on with her life. In fact, the character motivations are unclear most of the time, and this is just one example. My disappointments with Night Light further solidifies with the overall ineffective use of Yi Kyung as a character. I was initially impressed with her characterization, thinking that she’s a tough, power-hungry, no-nonsense and no remorse business woman who can be written as a protagonist or an antagonist. She’ll either get her comeuppance when justice prevails or change for the better due to external circumstances that forces her character to grow. Yet regrettably, I’m failing to see any hint of progress with not just Yi Kyung, but from any of the characters within Night Light. We’re more than halfway through Night Light, yet I’m still having a hard time buying into what Yi Kyung really desires and why. She’s power hungry and obsessed with money, so she’s been trying to take down almost everyone around her, and trusts no one except those whose loyalties can be bought with money. It falls into an unexciting humdrum mode, even as tensions are raised. The drama does a meager attempt at validating her motives via a backstory about Yi Kyung’s father’s betrayal by Mu Jin group’s CEO and another CEO. However, this context simply falls flat because we know that Yi Kyung’s not the type to particularly care about backstabbing. After all, she’s been taught that business is just business. Se Jin and Gun Woo continue the fight against Yi Kyung and her obsession with taking everyone down. But at this point, I realize that Gun Woo is an extremely flat character and serves little real purpose. His presence is not noteworthy and frankly, the drama doesn’t need him to advance its plots. 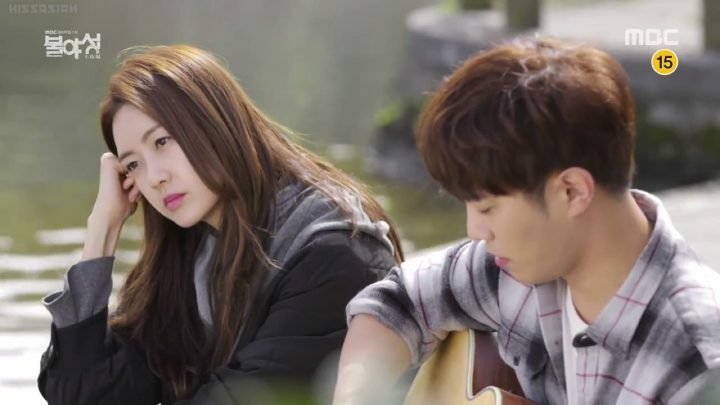 His backstory with Yi Kyung does bring out a softer side of her, but so does Yi Kyung’s interactions with Se Jin. In essence, we could generally get the same show without Gun Woo. Aside from the flaws in characterization, Night Light‘s plot has also rendered itself towards a largely predictable rinse and repeat pattern. The drama would introduce a conflict just to have Yi Kyung calmly and calculatingly takes care of it, with occasional side objections from Se Jin. Night Light falls into an unexciting humdrum mode, even as tensions are raised. The ending attempts to wraps things up, and does an unsatisfying job at that. Gun Woo and Yi Kyung don’t necessarily begin to get along, they just choose not to fight with each other anymore, while Se Jin finally moves on to build her own life. Overall, interesting and promising first few episodes are severely undermined by incoherent writing and banal conflicts in the rest of the drama. Meanwhile all key characters suffer from unclear motivations and incomprehensible actions. 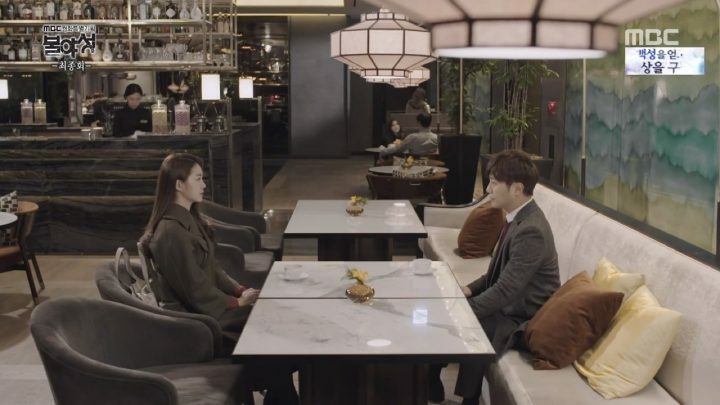 I’m usually not one to watch dramas that focus heavily on business or politics, and unfortunately, Night Light certainly did nothing to change my view of that. I’m watching episode 11 and until now.. It’s pretty good and cool. Sejin likes the CEO that’s why she’s too concerned at her. It’s cool! And the chemistry between Sejin and CEO is toooo damnnnn good! They can even splash the chemistry to you even you are just watching at your PC. But it’s quite disappointing to know that the CEO will be left alone and go to Japan afterwards but I’ll continue to watch it, still. I’m happy with their little moments! Lol the coats comment! I thought perhaps a coat manufacturer was involved in PPL. Back to the review – you nailed it. I like Ye Won as an actress but she had no room to show her ability, neither did Jin Goo. 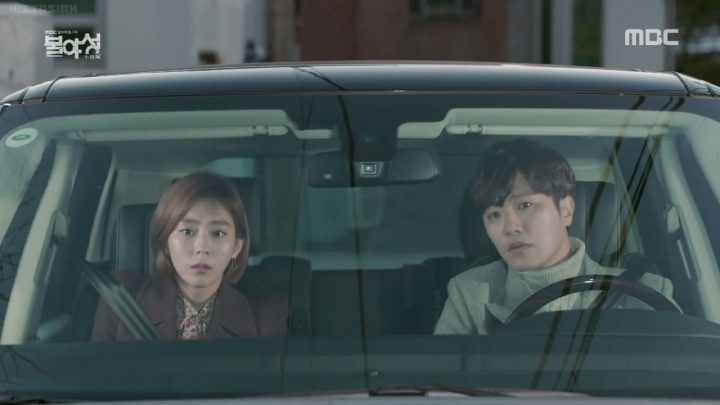 Uee never appeals to me – she seems to try too hard all the time – and her character had no grounding, so I wondered why she got so much of the focus and the two alleged leads became background noise. Her character was ridiculous – naive, blundering, pushy, pathetically All About Eve without going for it… and her great “I want to save her “ crush on Ms Seo never made sense. I was so annoyed I had to make four tries to get through this series. Glad I found your recap and review. My biggest annoyance with these characters are that they never take off their coats when they are indoors even working in the office. The ending of Night Light was exceptionally weak. The writer lost his courage by not having the female leads end up together. Out of all the couples alluded to in the drama, Yi-Kyung and Sejin had the deepest and most personal relationship. They were a couple in the truest sense of the word and would have remained so if the writer had the audacity to follow through.